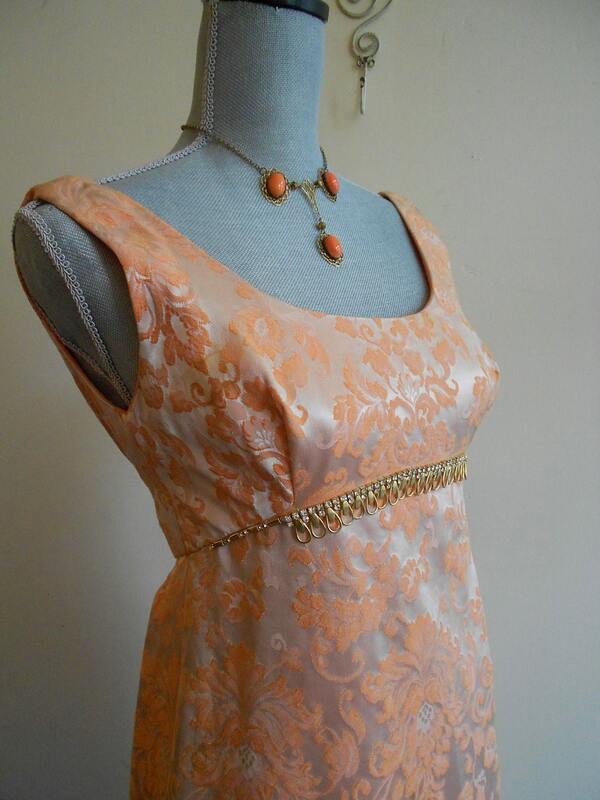 1960's, 32 bust, coral satin brocade, empire style gown with low back. 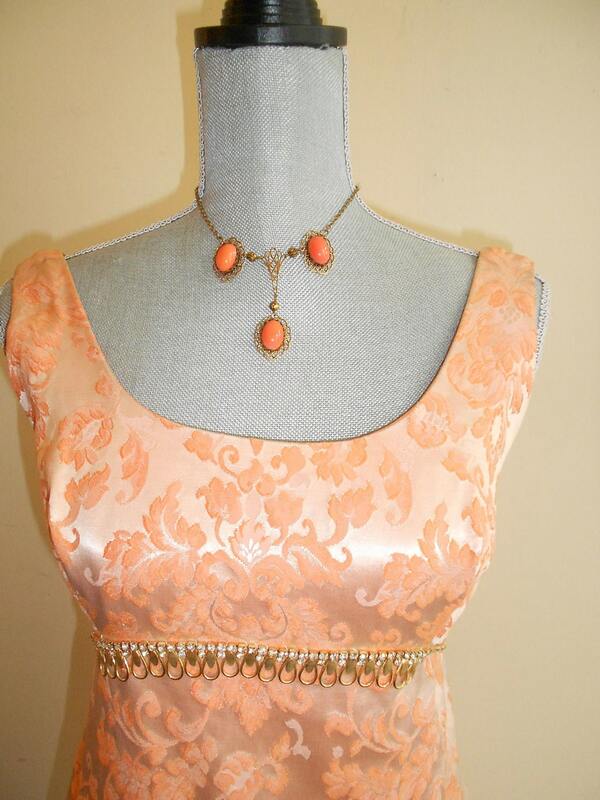 1960's, 32" bust, coral satin brocade, "empire" style gown with low back. 1960's, 32" bust, coral satin brocade, "empire" style gown. Gown has a very high bodice, with a necklace of gold tone metal and rhinestones, sewn under bosom. 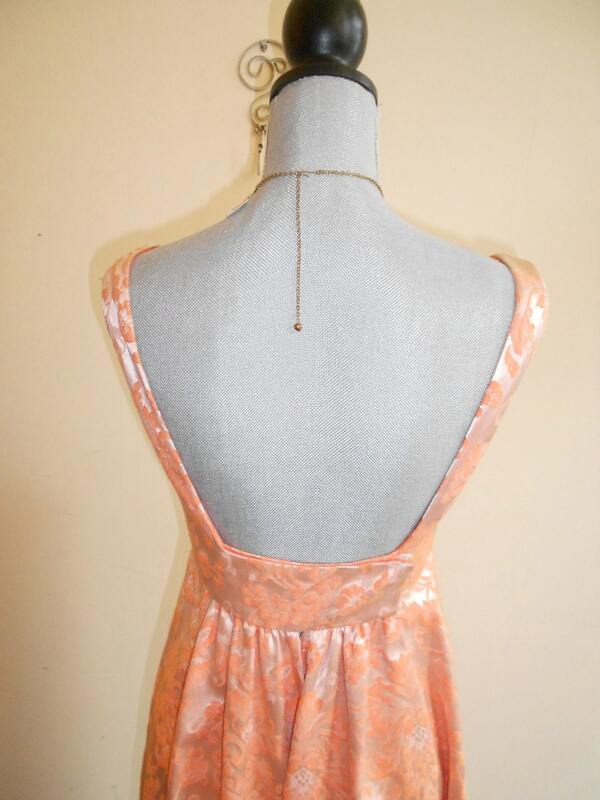 Neckline is open and wide , with shoulder straps. Back is very low, and square to waist. Skirt of gown is to the floor, and A line in shape. The back of gown is longer and fuller than front. The entire gown is fully lined in orange acetate. shoulder to hem front 52"
shoulder to hem back 54"